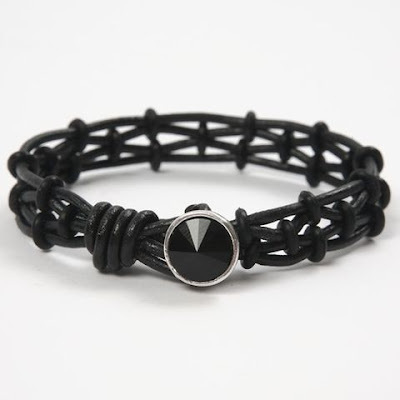 This leather bracelet is made from 2mm thick leather cords, using silicone rings to assemble the cords to form a pattern and then fastened with a crystal button. 1. Cut three pieces of 2mm leather cords in the following lengths: 95, 65 and 50cm. 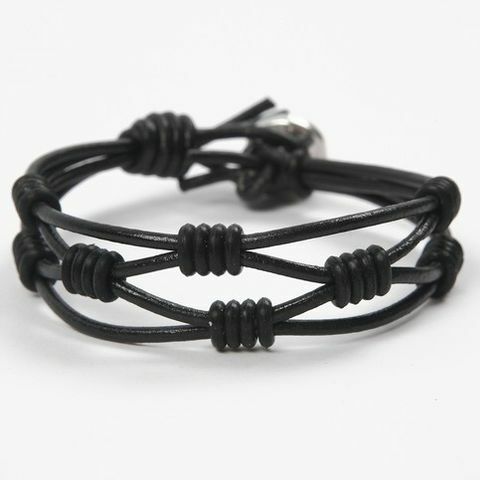 Double over the longest piece of leather cord, making it four pieces of leather cord at one end of the bracelet. A loop is created in the opposite end by double folding; i.e. 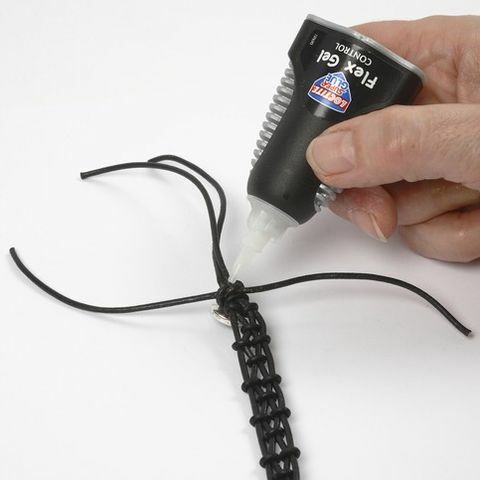 this end consists of a loop and two cord ends. 2. 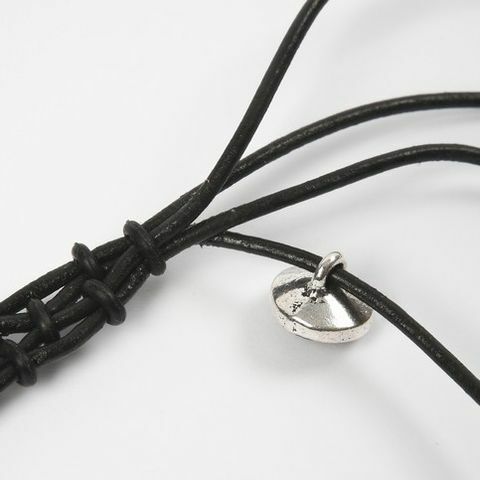 At the end with a loop, twist the piece of leather cord which is 15cm longer than the three other pieces, four or five times around these from left to right. 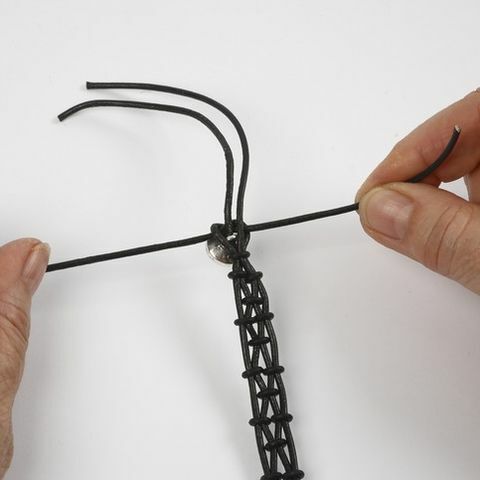 Pull the end through the loop and tighten. 3. You may dab a blob of glue inside the knot to secure it. Cut off the two ends. 4. 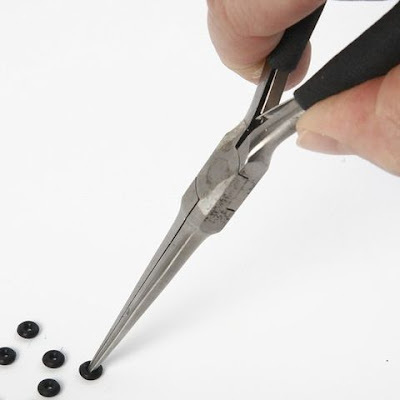 Pick up the silicone stop rings individually with either nose pliers or long chain nose pliers. 5. 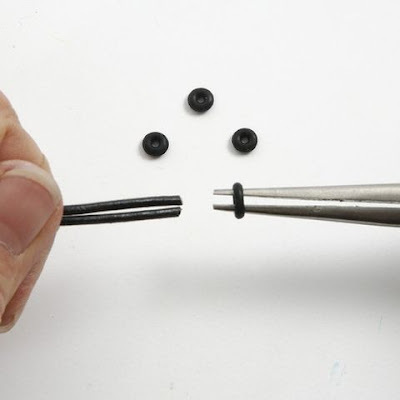 Open the pliers and place the silicone stop ring over the two cords which you want to assemble. 3 and 4 + a silicone stop ring. 7. Thread a crystal button onto one of the four cords. 8. 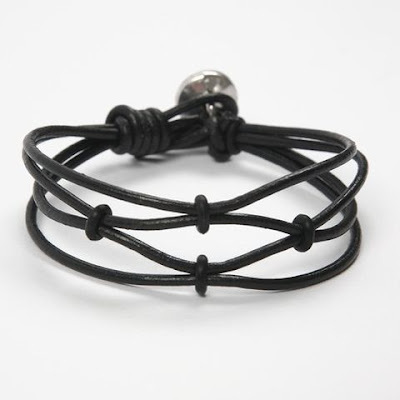 Tie the outer two cords together in a knot underneath the two middle cords. 9. 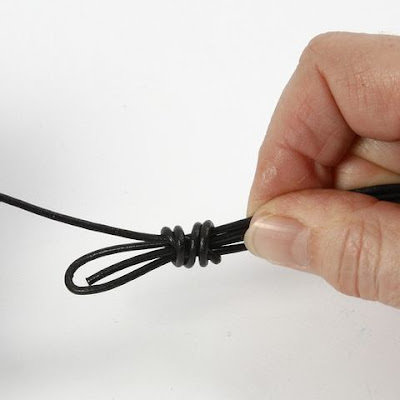 Use the same outer cords to tie another knot over the two middle knots. 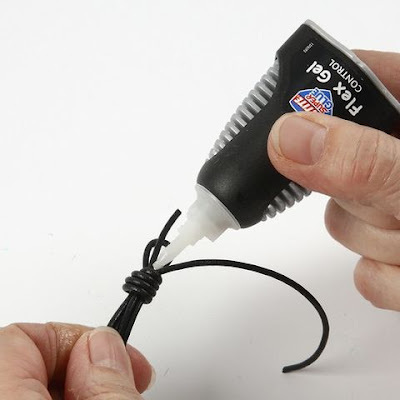 Secure this double knot with a blob of glue. 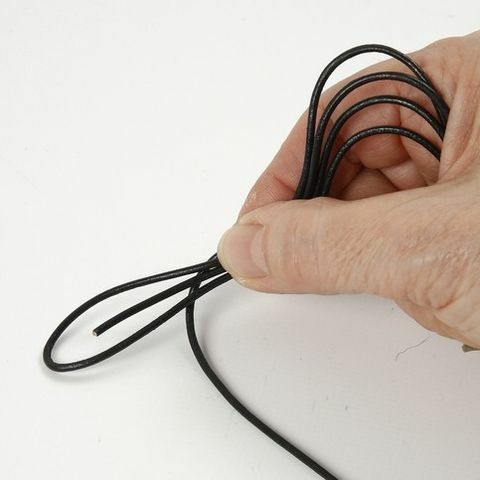 Cut off the two cord ends in each side. 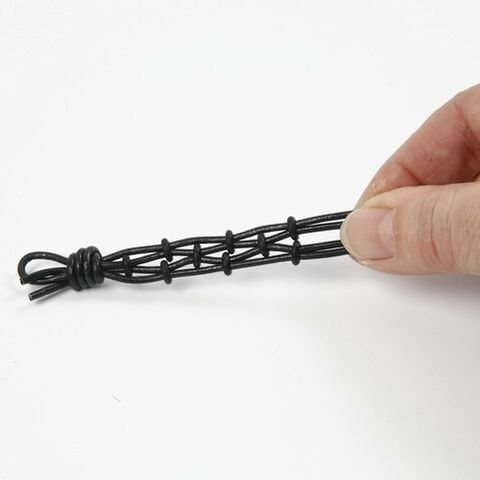 Shorten the two middle cords to 1.5cm.